Is Trump militarising US-Africa policy? It was the latest sign of the military’s ‘quiet but ever-expanding presence on the continent’, one that represented the ‘most dramatic growth in the deployment of America’s elite troops to any region of the globe’, it said. 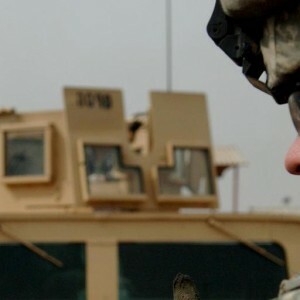 Donald Bolduc, the US Army general who runs Special Operations Command Africa (SOCAFRICA), says Africa’s challenges ‘could create a threat that surpasses the threat that the United States currently faces from conflict in Afghanistan, Iraq, and Syria’, according to VICE News. Some associate this apparent increased US military activity in Africa with Donald Trump’s arrival in the White House and his supposed greater focus on seeking solutions to the continent’s problems by military force rather than non-violent means. Critics point to the Trump administration’s decision to slash the US State Department budget by 30% and cut back on development aid. But is it true that Trump is militarising US-Africa policy? Certainly you might think so if you read the website of America’s Africa Command (US AFRICOM). On 4 August, for instance, AFRICOM announced that on 30 July it had conducted a successful ‘kinetic strike’ near Tortoroow in southern Somalia, killing senior al-Shabaab terrorist Ali Muhammad Hussein. On 5 July, AFRICOM said that the day before, it had ‘conducted a successful collective self-defense strike operation against an al-Shabaab troop concentration … approximately 300 miles southwest of Mogadishu’. And so on. But is there really an increase in ‘kinetic activity’ (a US military euphemism for warfare)? Is it outweighing diplomacy and other tools in Africa? And is it due to Trump moving into 1600 Pennsylvania Avenue? It is true that in March Trump gave AFRICOM greater leeway in attacking al-Shabaab by easing more stringent requirements on the need for the military to demonstrate near-certainty that no civilians would die in the attacks, and that the targets posed a threat to Americans. On the other hand, AFRICOM had already significantly stepped up its ‘kinetic’ operations elsewhere in Africa before Trump became president. Last year it conducted 495 air strikes against the Islamic State in and around Sirte, Libya, in Operation Odyssey Lightning. Cheadle says it would be wrong to believe all those 100 or so missions taking place at any one time were attacks, and the VICE News article is ‘misleading’ in suggesting there’s been an increased militarisation of US Africa policy. He and other officials say although AFRICOM activity is increasing, this is proportional to the increased threats posed by the various terror groups in Africa – not only al-Shabaab in the east and the Islamic State in the north, but also al-Qaeda in the Islamic Maghreb (AQIM) and Boko Haram in the west, to name just the main ones. The officials also insist that AFRICOM’s activities are still ‘dwarfed’ by America’s non-military assistance to Africa, naming particularly Washington’s huge President’s Emergency Plan for AIDS Relief (PEPFAR), and Power Africa, a programme to boost the electrification of the continent. He insists also that AFRICOM’s policy remains ‘by, with and through’ – i.e. to work always with African partner countries and European nations providing military assistance. Cheadle says despite the greater leeway AFRICOM now has to strike al-Shabaab, there have been no civilian casualties in these assaults. He says there were also no civilian casualties in the 495 air strikes against the Islamic State in Operation Odyssey Lightning. US officials acknowledge that the impression of increased militarisation is being generated to a degree by paralysis in America’s diplomacy. Congress has vowed to block Trump’s intentions to slash the State Department budget, creating a likely impasse. At the same time, vital diplomatic appointments – such as that of a new assistant secretary of state for Africa – are being held up by Secretary of State Rex Tillerson’s fundamental restructuring of his department. The sum of this is a lack of ‘bandwidth’ in the State Department, US diplomats say. They just don’t have the numbers to compete with their military counterparts when it comes to determining policy. In fact, ‘bandwidth’ – if you will forgive a terrible pun – is quite an appropriate way of putting the problem. US diplomats insist, somewhat tongue in cheek, that the Department of Defense has more members in its hundreds of musical bands than the Department of State has diplomats. In part that’s just inevitable inter-agency rivalry and maybe hyperbolic. But it does also suggest a real problem that has arisen since Trump took over, about who shapes US-Africa policy.